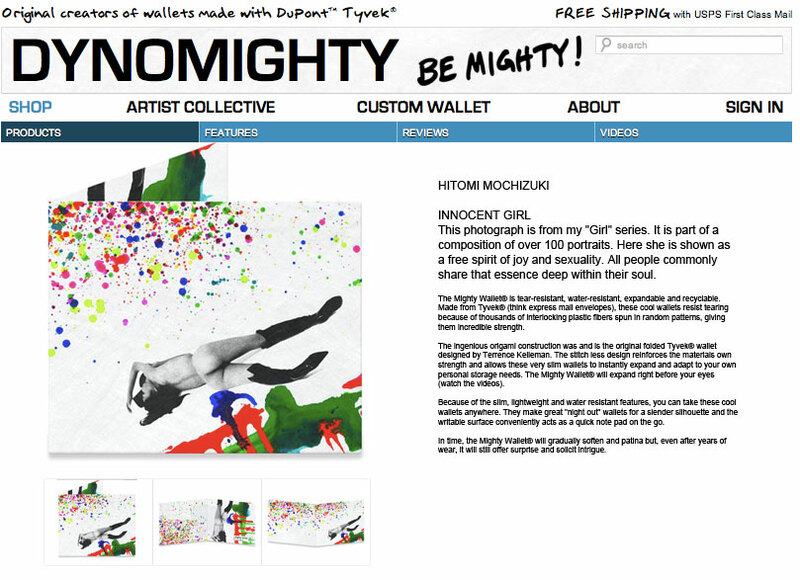 Collaboration with the New York based company Dynomighty providing design for their mighty wallets. These Tyvek® wallets are sold in over 60 countries worldwide, 1800 stores across the US such as the MOMA museum store, Museum Of Arts & Design and International Center Of Photography. The wallets are a popular souvenir for people who visit New York. Please check the link for details, maybe get Hitomi’s mighty wallet for your pocket or for your collection.